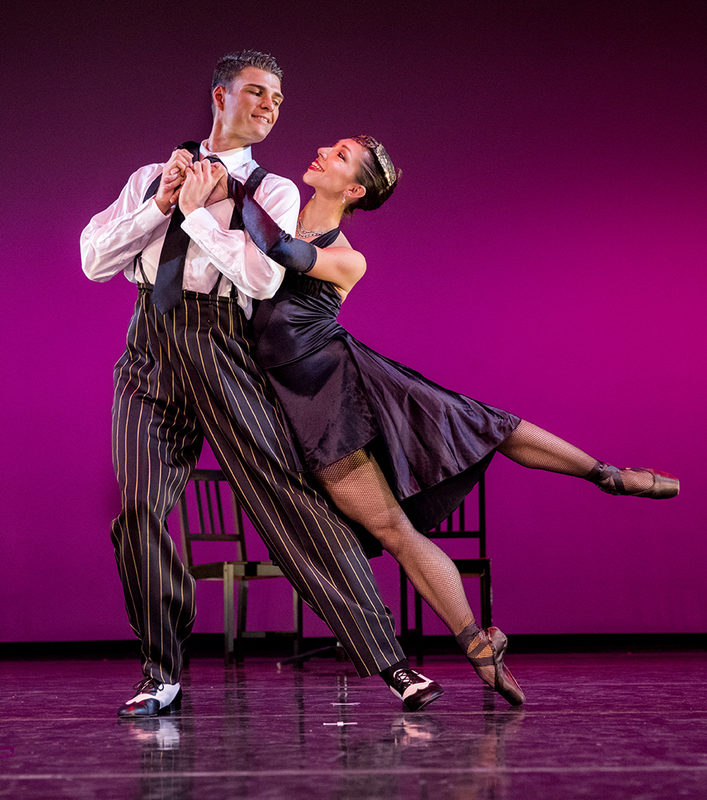 Diablo Ballet kicks off the holidays in style as the company presents the opening program of its 2018-2019 season with the family-friendly A Swingin’ Holiday & More, November 9 – 11 at the Del Valle Theatre in Walnut Creek. 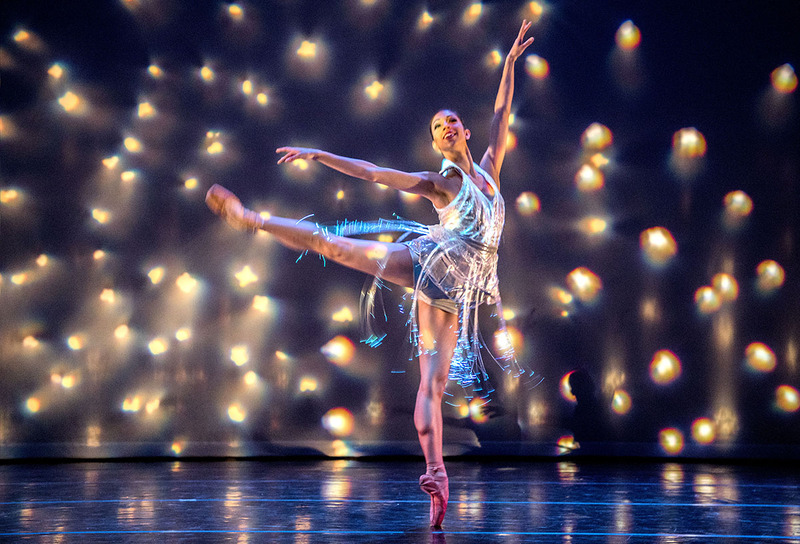 Following each performance, ticket holders are invited to stay for a dessert and coffee reception where you can meet and mingle with the dancers! 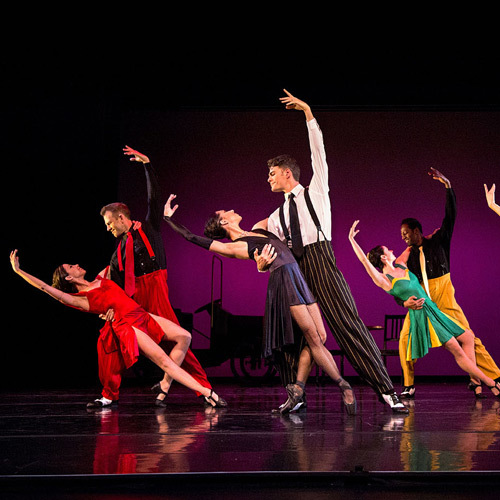 Our annual holiday favorite, A Swingin’ Holiday was created in 2012 by Sean Kelly, who is currently the Resident Director of the first national tour of “An American in Paris.” Our 2018 version will feature new dances added to the ballet specifically for this season. The ballet is set to the exhilarating music of the 30’s and 40’s, with holiday favorites by legends Duke Ellington, Glenn Miller, Nat “King” Cole, and Wynton Marsalis, as well as jazzy renditions of Tchaikovsky’s “The Nutcracker Suite”, performed by the sixteen-piece Diablo Ballet Swing Orchestra under the Musical Direction of Greg Sudmeier. 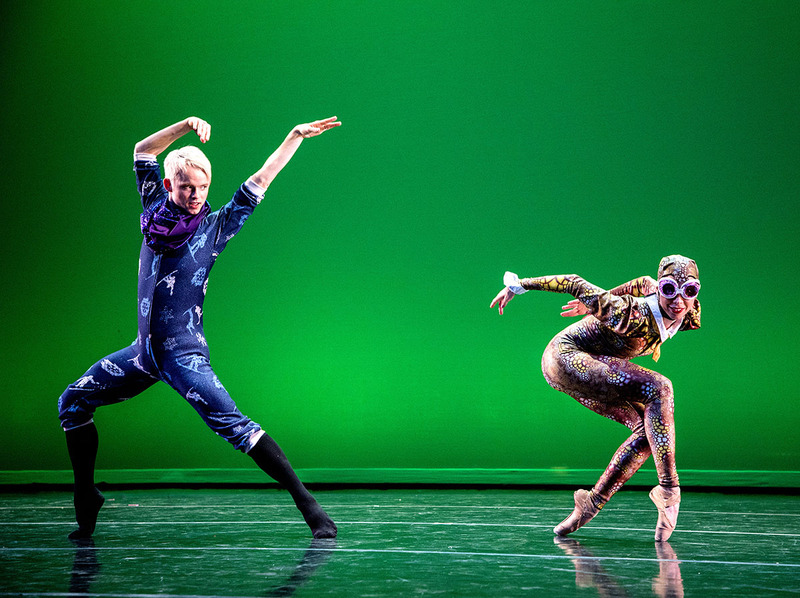 The program also features the return of Carnival of the Imagination choreographed by Robert Dekkers and set to Camille Saint-Saëns’ famous “The Carnival of the Animals”. The ballet follows a young child named Seven on a magical journey through their world of make believe. Filled with dragons and unicorns, pixies and panda bears, a phoenix and a jackalope, this coming-of-age adventure celebrates creativity and inspires imagination. Dekkers’ Carnival of the Imagination will awaken your fascination and connect with the child-like heart that’s bursting at the seams within each of us.